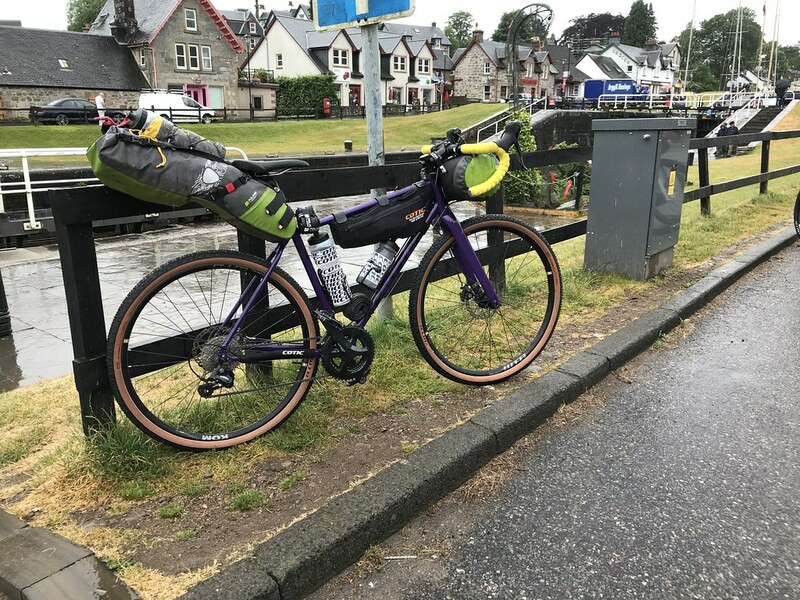 Ever since doing the Cotic x Restrap mountain bike bags, there have always been questions about whether they fit Escapades or Roadrats. The Restrap bags have always been for our short head tube mountain bikes, so they don't fit Life Bikes. However, there was clearly a demand for a Cotic bag for you Life Bike owners out there (and there are a few thousand of you out there, we launched the Roadrat is 2006!). 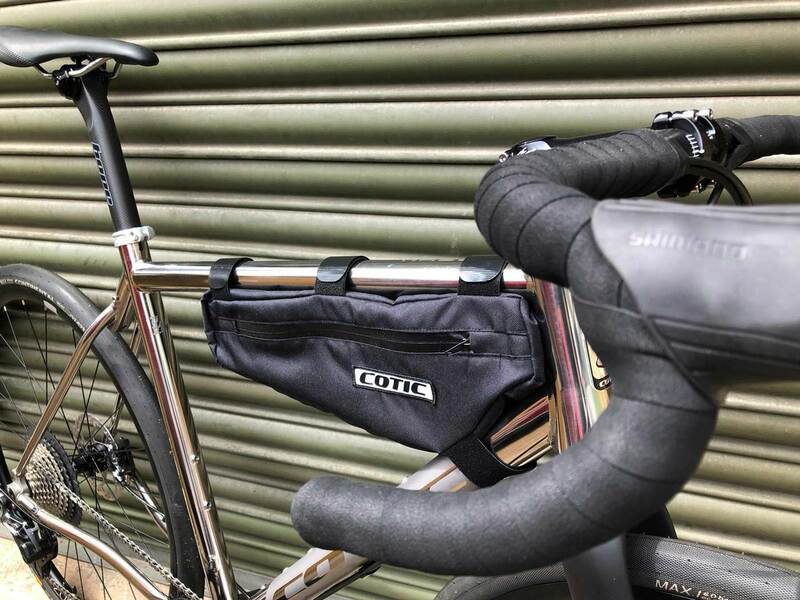 So here is our Cotic frame bag, custom made to fit the larger front triangles of the Escapade and Roadrat. It's not made by Restrap though. It's made by Cy's Dad! Throughout my childhood, Dad owned Delta Clothing, a business which made motorcycle waterproof jackets, trousers and suits in Bedford, where I grew up. My first Saturday job was putting press studs in pockets with an arbour press and waterproof taping the seams of the trousers we were making. He did it for over 20 years and he knows his stuff. So when I mentioned we were looking at expanding the luggage range, he was keen to help. We measured up some templates and went through a few iterations to get to what we have now. These bags have water proof zips and are lined with flouro yellow material. This not only helps keep them almost completely dry inside, you can really easily see the contents due to the colour of the lining. 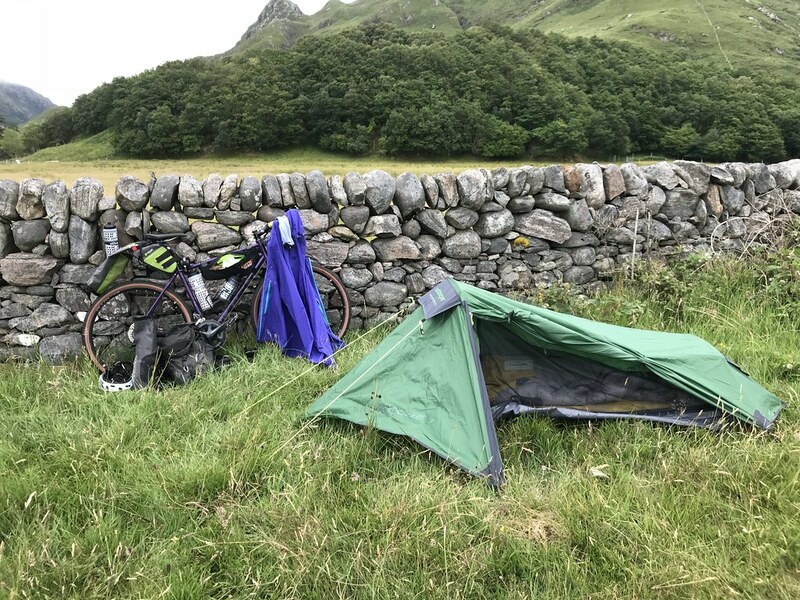 They are much bigger than the mountain bike bags and will fit everything from an extra small Escapade to a large Roadrat. On smaller sized frames we had to compromise seat tube bottle access, but down tube bottles will fit in all cases. You can get plenty in there, as we have often done on our post office runs on the workshop Roadrat. You would easily get a jacket, a bivvy bag or all sorts of other things. 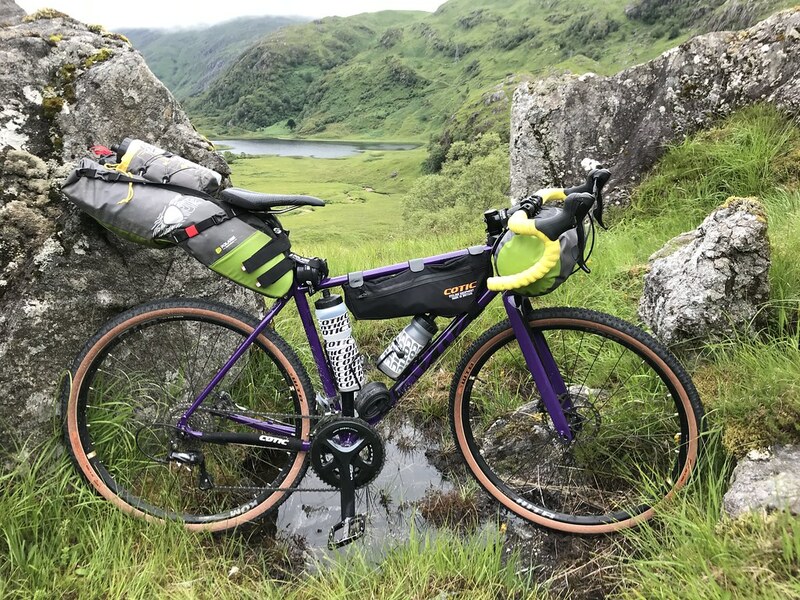 Brand Ambassador Kelly used one of the prototypes on her Scotland trip earlier in the year. If you have one of our Life Bikes, then this is a perfect addition. For everything from riding to the post office to riding across Scotland, it's got you covered. The Life Bike bags are £55 and in stock now.